Many people choose flowers when it comes to decorating their gardens – roses, peonies, daffodils, you name it. 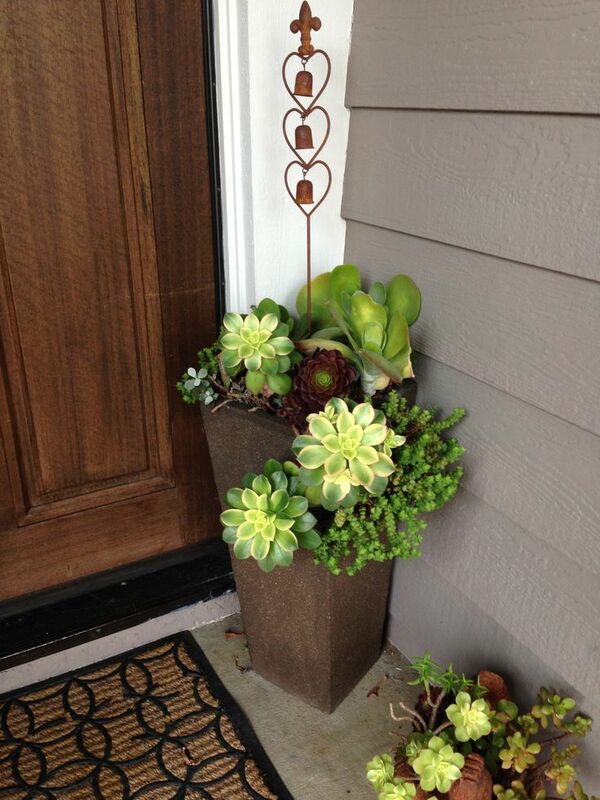 However, having succulents in front of your home can be a nice thing as well. They aren’t pink, blue or purple, like many of flowers, but they have a very unique look that will certainly upgrade your front door area. You can plant smaller and bigger succulents and even plant them in more pots.